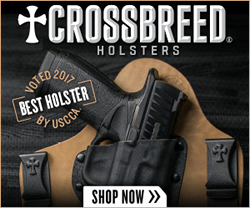 Jenks, Oklahoma (March 15, 2018) – (HolsterVault.com) – Perhaps the Glock 43 has some competition – who knows? Between sales and end-user feedback, only time will tell of the impact the Sig Sauer P365 has on the gun market. This high-capacity, micro-compact pistol was released earlier this year at Shot Show 2018. 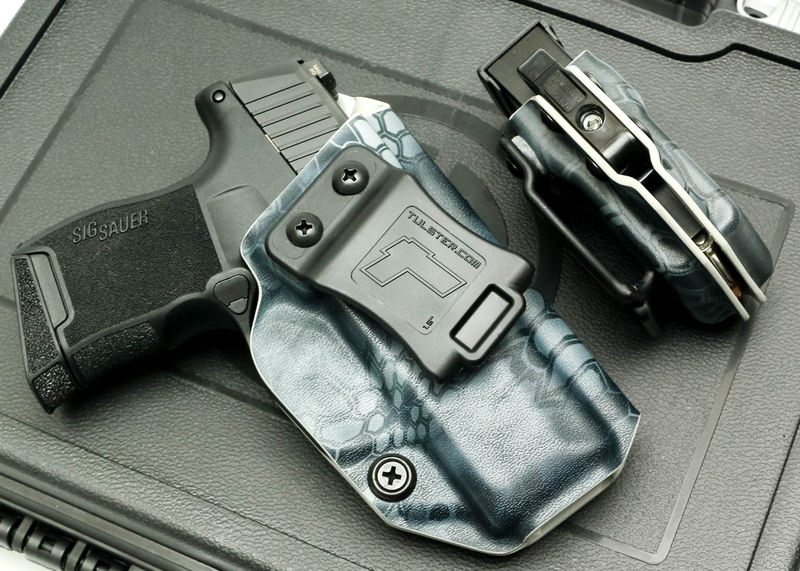 According to Sig, this revolutionary new concealed carry firearm is the one gun you can carry every day of the year. The Sig P365 appears to be the perfect balance between capacity and concealability with the ability to be in a class of it’s own. 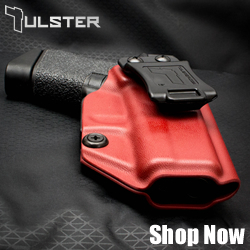 In response to our Tulster fans, we decided to include a holster for this highly sought-after pistol. 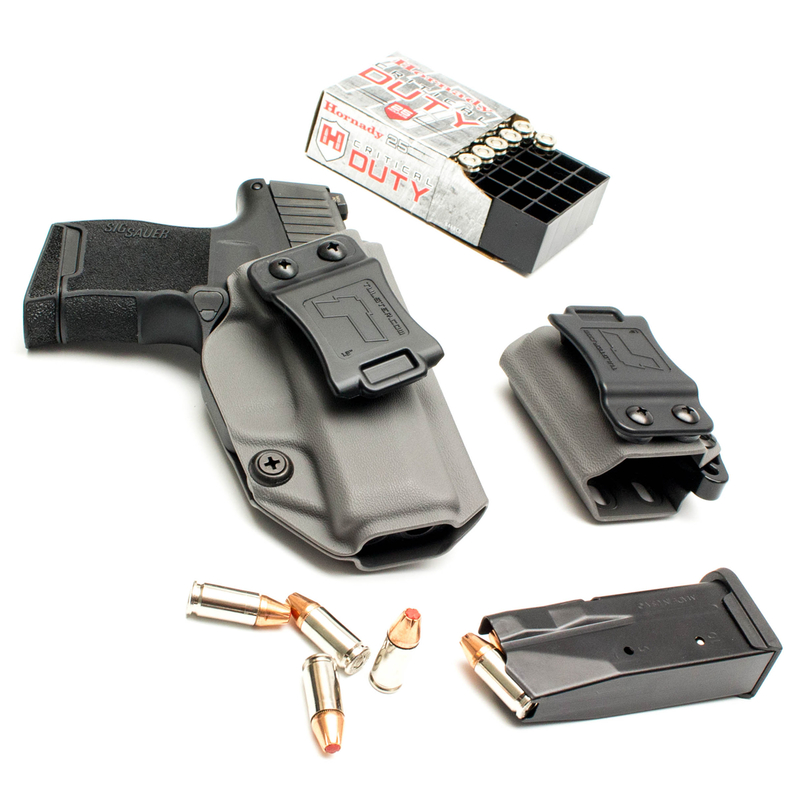 Each AIWB Profile holster is formed to the Sig P365 for a snug fit with low drag. 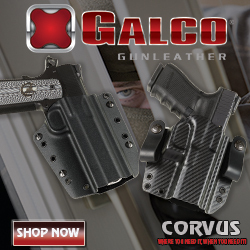 The adjustable retention along with the inherent positive retention “SNAP” ensures the firearm is secure when holstered. Removal of extra material between the muzzle and retention screw adds to a layer of comfort without digging into the body or thigh. 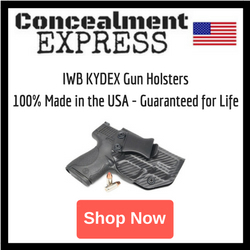 The trigger guard is intentionally undercut to promote a higher grip on the Sig and allow for a magazine release while the firearm is fully holstered. From the injection molded belt clip to the soft loop option, the cant settings are easily adjustable from 0-15 degrees to allow for a perfect grip on the Sig P365.